We posted the teaser to this brand new walkthrough footage for Hitman: Absolution late yesterday. Now, Square Enix and IO Interactive have made good on their promise and delivered the entire E3, Eurogamer and gamescom demo to the mass of the internet in video form. 17 minutes of full, un-cut gameplay footage from when Agent 47 takes to a Chicago library awaits you viewers above. If you watch the clip and find things like the lighting, weather and particle effects particularly remarkable, as we did, then take note of IO Interactive's brand new, proprietary engine: Glacier 2. That's what's bringing this property together for release. As we wrote in yesterday's story (linked above), this is the first time gamers are getting a new chapter in Agent 47's story since 2006. Between 2000 and 2006, we saw four Hitman titles release. Since then? None. It's crazy to think that there may be a whole, new generation of gamers without any knowledge of this franchise whatsoever. Since Hitman: Absolution stands a full five years apart from the last entry, the obvious question is formed: Will this brand stand the 11 year test of time? Our money is on "yes." Hitman is sweet. 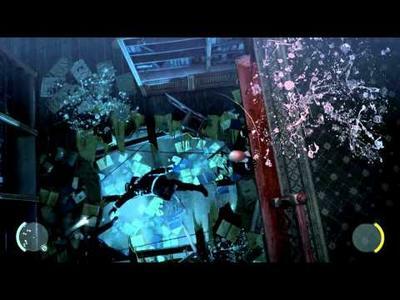 Hitman: Absolution is currently slated for release in 2012 on the Xbox 360, PlayStation 3 and PC platforms.